One of our most unique diamond rings. 14K White Gold Art Deco Ring set with a 1/4 Carat Black Diamond. 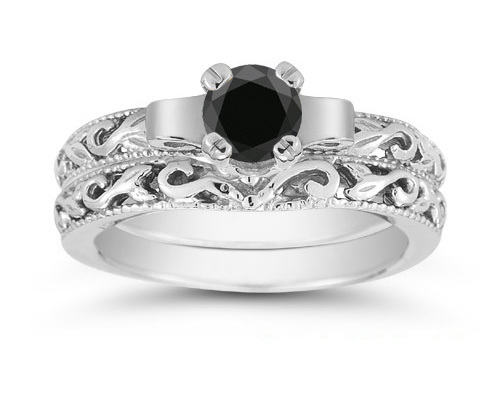 We guarantee our 1/4 Carat Art Deco Black Diamond Bridal Set to be high quality, authentic jewelry, as described above.